Got the return line installed. Return line will drive the carbon /gfo reactor as well as fill the fuge. 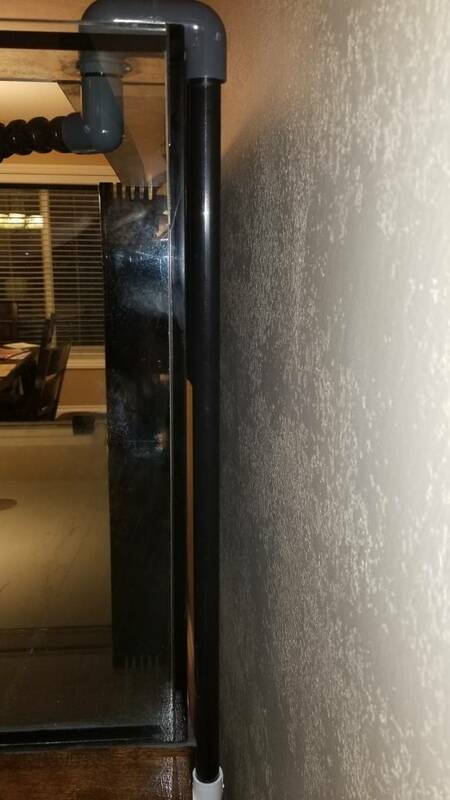 Are you doing anything to avoid a siphon from the return pipes (last pic)? If you can't fix it with duct tape it can't be fixed! 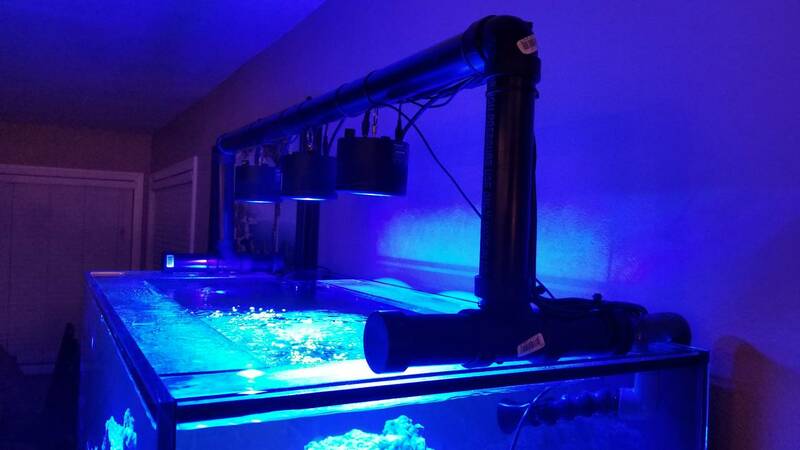 Current Tank Info: 160gallon 3/4 glass cylinder - mostly SPS. 4x XR15w G4 pro + 3x 39w T5 + 2x 24w T5. Apex controller. 2x Maxpect Gyre XF250. 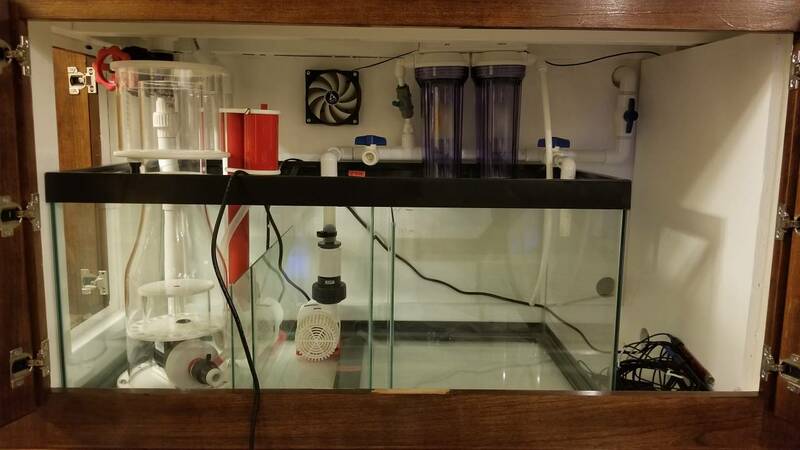 Various 8 return, Regal 200sss skimmer, BRS carbon reactor. CA, ALK, MG, NOPOX and Red Sea trace elements dosed via apex DOS. The final elbow is only pressed on at the moment. Once I see where the water level is I may drill a little hole to break the siphon. Not sure how I'm going to hide all the wires. Doubt they will be hidden. I think I'd be happy with slightly organized. I'm back from Ireland and got RODI water going direct into the tank. It's been going for about 3 hours. Once deep enough I'll mix in salt and then move in the cured rock. 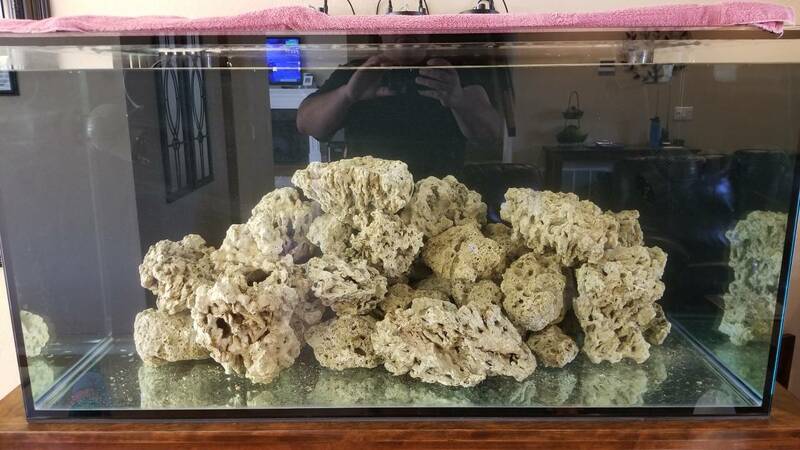 Salt for 100gal is in. Waiting for the RODI to catch up. Wave pumps running. When it reaches the overflow I'll start putting in the curved rock. Got the rock in. 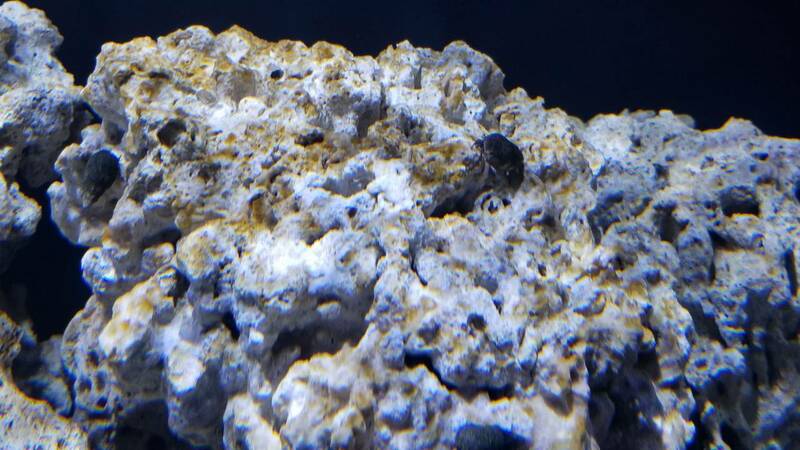 I'll aquascape later..
Man... setting up a new tank is no small undertaking. Spent the evening topping off the sump and getting the return pump going. Also drilled a vent hole in my return line to break siphon in the event the pump failed or power outage. The drain down test seemed to go well. Here is a video of how it went. So many little thing to set up and tune and test and calibrate.. sheesh.. gonna be a while before it's in cruise mode. Test kits arrived today. Took some readings. 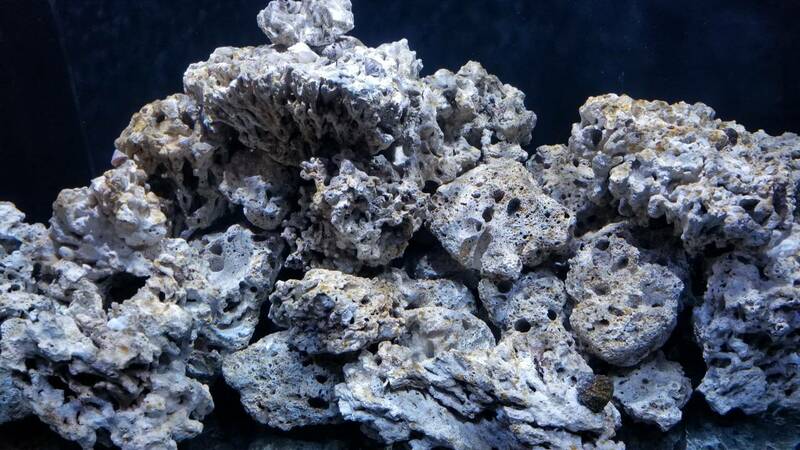 Based on my limited knowledge it looks like I need to get the ammonia down to zero and the no3 down to about 2 for a mixed reef. 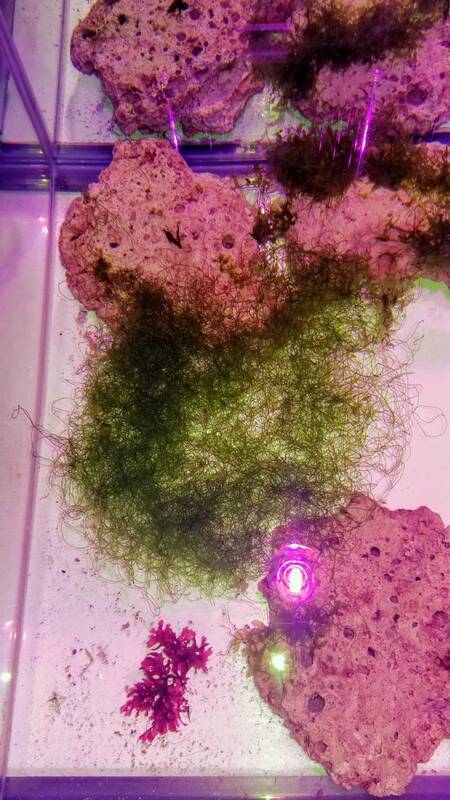 Po4 looks good for a mixed reef. I think the tank is still cycling so I'll let it keep going. I'll do some aquascaping this weekend. Got the ATO setup. Need to find a nice container that fits in my cabinet. Until then I'll be using an external bucket. Been fine tuning the apex. Seems to be working well and I'm getting more comfortable with it. I choke every time I see the price on acrylic.. 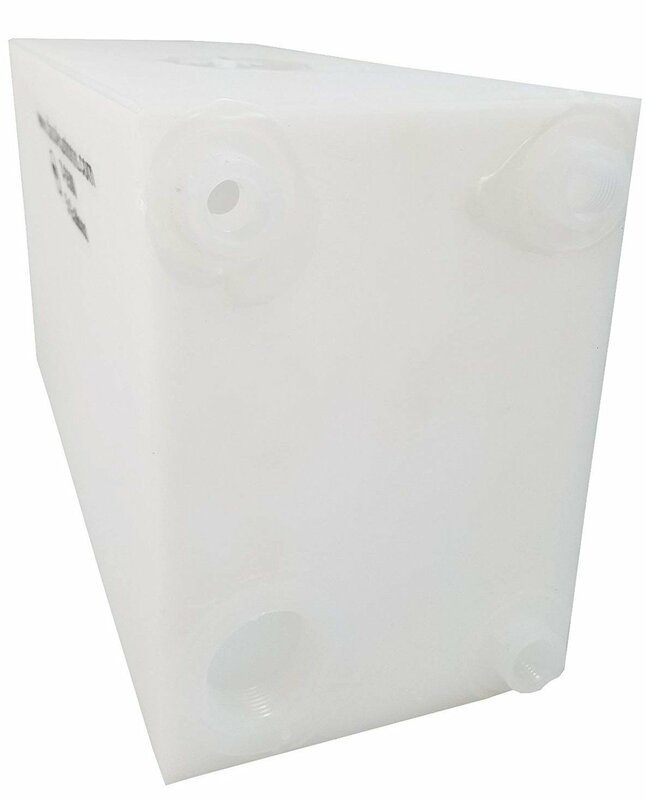 I've been looking for an ATO container that fits my space. Found this which is perfect. 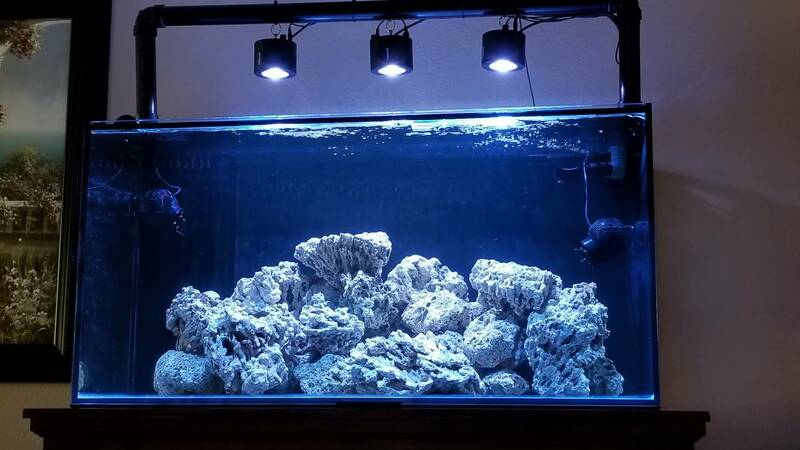 Very stoked to be able to accommodate 7 gallons. There was a 5 gal option as well. 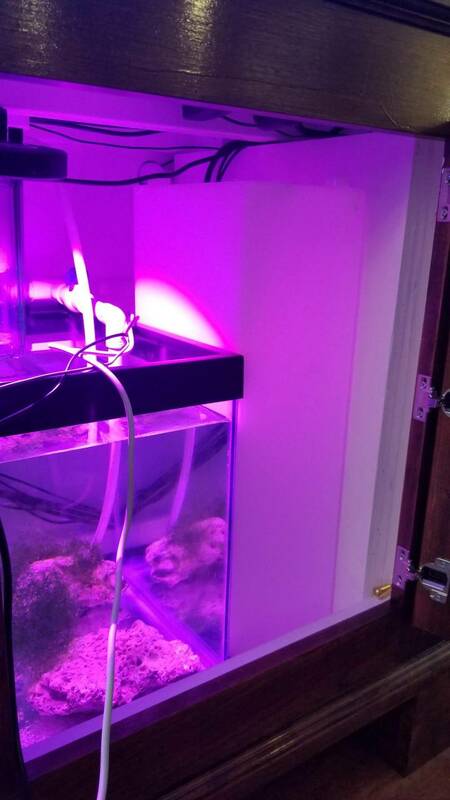 Got some macro algea in the sump.. Skimmer is getting dialed in.. Did the aqua scape..
Rigged up a light bar with some abs to temporarily hang my lights. They are about 8" off the water and about 11" apart. 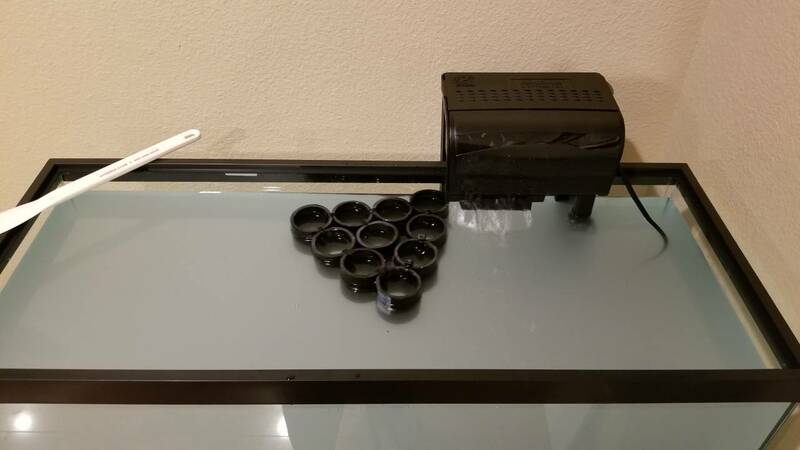 I like the kessil gooseneck mounts but my tank is eurobraceed so not sure if they will work. No hurry, I'll figure something out.. 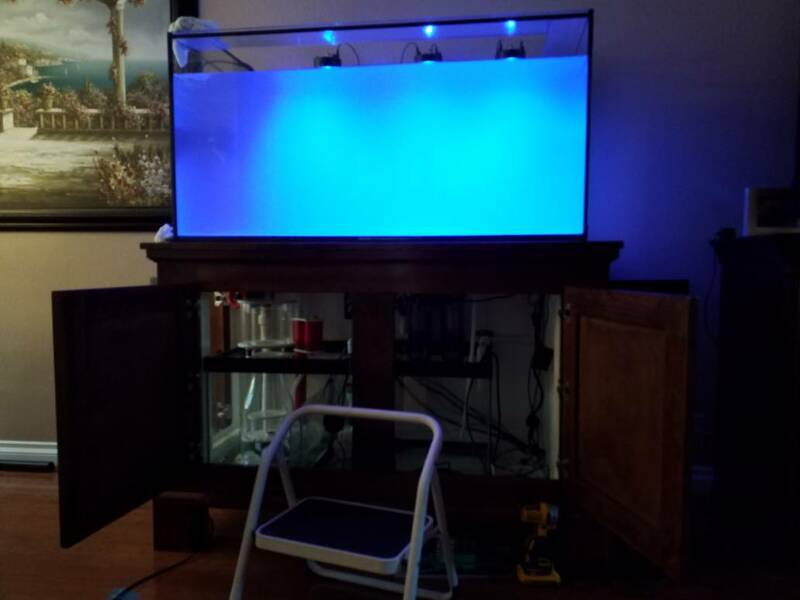 Here are a few shots of the tank with the lights on..
Looks great. It's coming together nicely. What is the light mounts made out of? PVC? 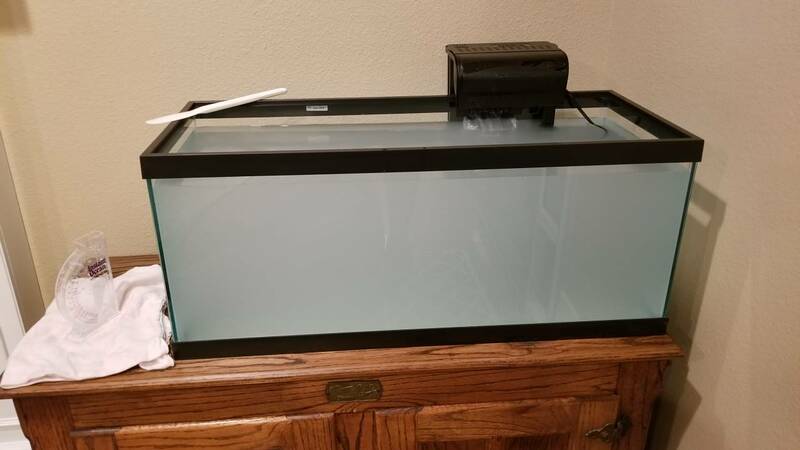 How is it fastened or connected to the stand/tank? Can you share a picture. 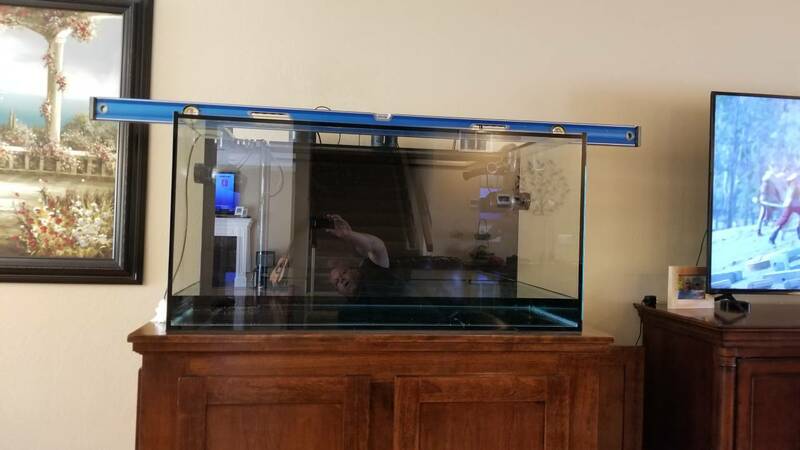 Looking to move my kessils to a eurobraced tank where the gooseneck mounts likely will not fit. I used ABS. It's temporary until I find a more elegant solution. I too have a eurobraced tank. 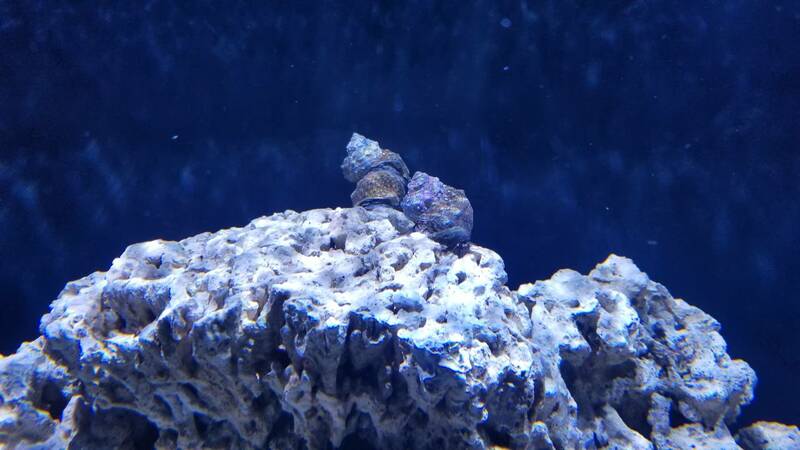 Added 3 zebra turbo snails and 3 hermit crabs a couple days ago. Got a QT setup. 20 gal with penguin 150 HOB. I've had filter media in my DT for some time now which I'll put in the hob. Decided to make some structure for the QT. Zip tied some abs pipe pieces together but the damn thing floats.. Lol..
Snails and crabs seem to be happy campers. 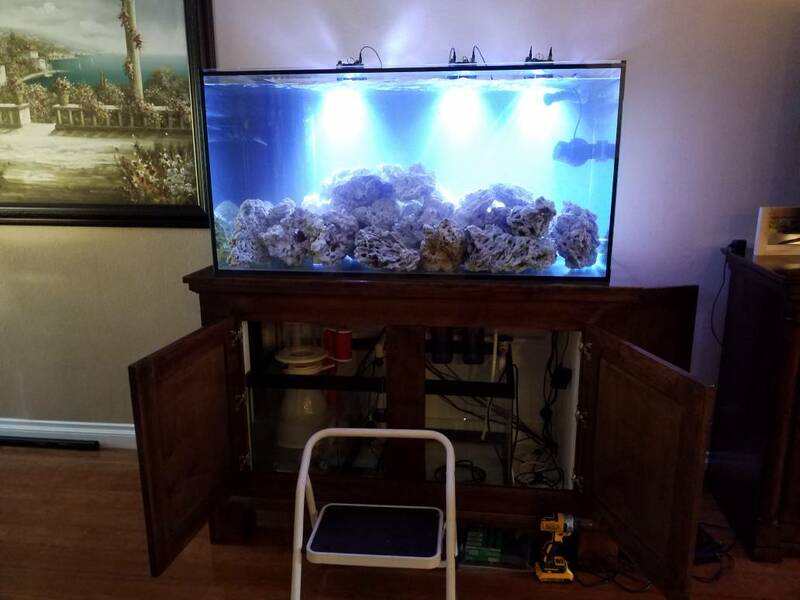 Put a couple of clowns and 5 chromis in quarantine. Everyone is eating. My macro algea is looking good. 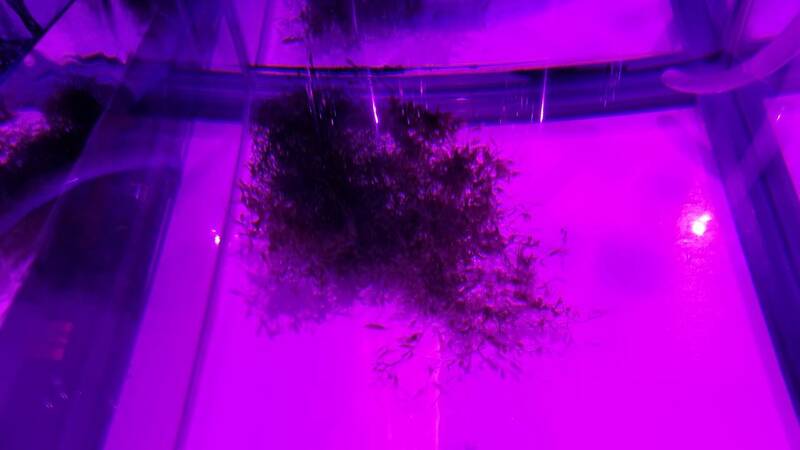 The chaeto is growing pretty fast. Seems to have tripled in size. 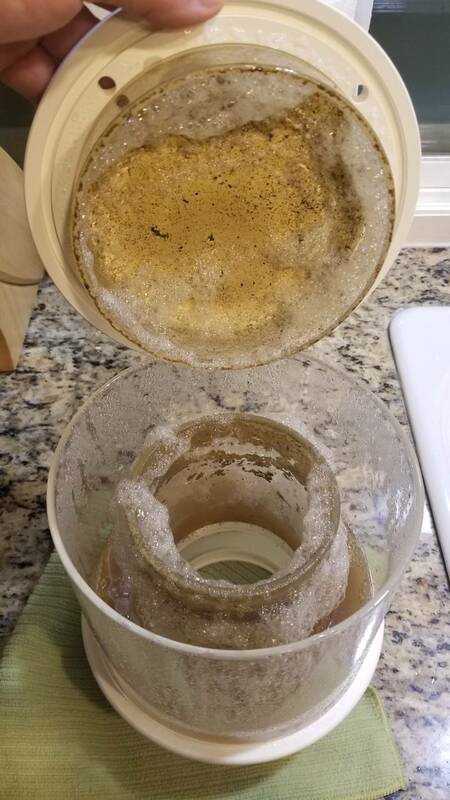 Skimmer is working great. Seems to be producing good skimmate. Knock on wood... Everything seems to be going well. New ATO resiviour arrived today. It could not have been a better fit. Really stoked to have 7 gallon capacity. Been running my lights for a few days. Looks like I got some uglies starting to grow. I guess I'll cut back on the lights and see what happens. Nice progress! What kind off lights are you using for your cheato ? Thanks. 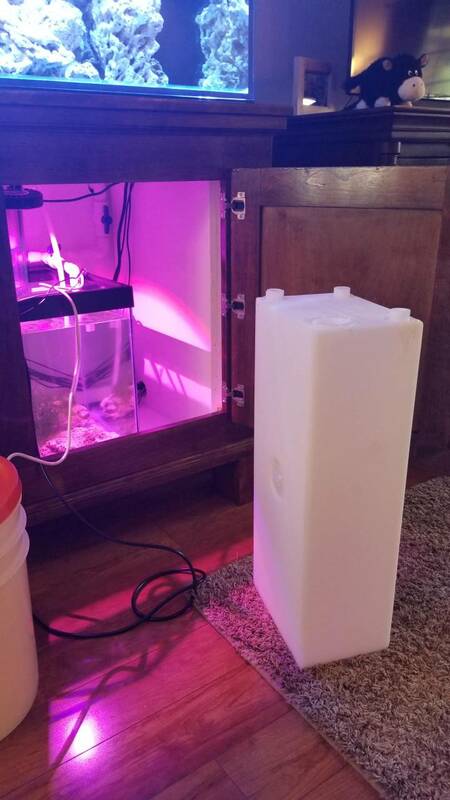 I am using a Kessil h80 on the Grow setting. Did some Apex work this evening. Programmed the Skimmer to shut off during feeding. Also programmed it to shut off any time the wattage draw on the return pump outlet drops. 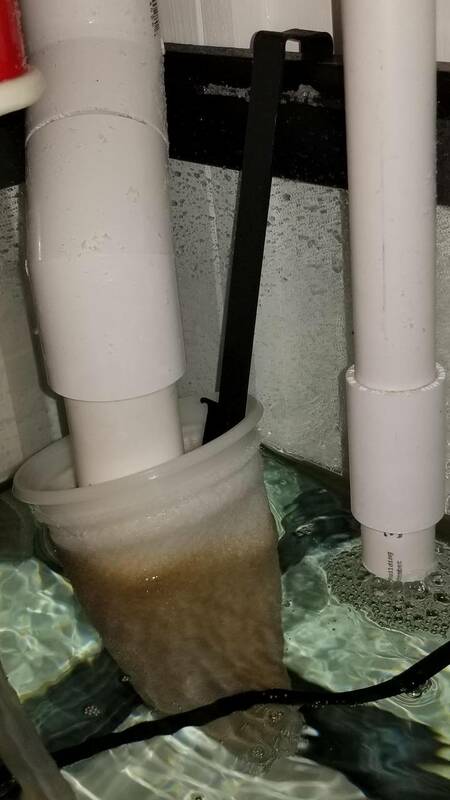 This will prevent Skimmer overflows if the return pump ever fails or if it is unplugged during maintenance. Also set the tunze ATO sensor to be able to handle the high water level when the return pump is shut off. 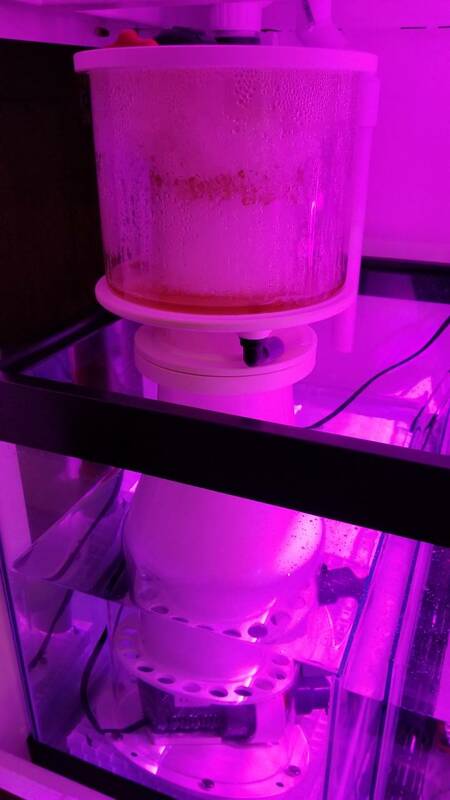 Still need to figure out how to control the power heads during feed cycle. Used some kydex and made a filter sock hanger for those times I want to run one. Looks like it is working great.